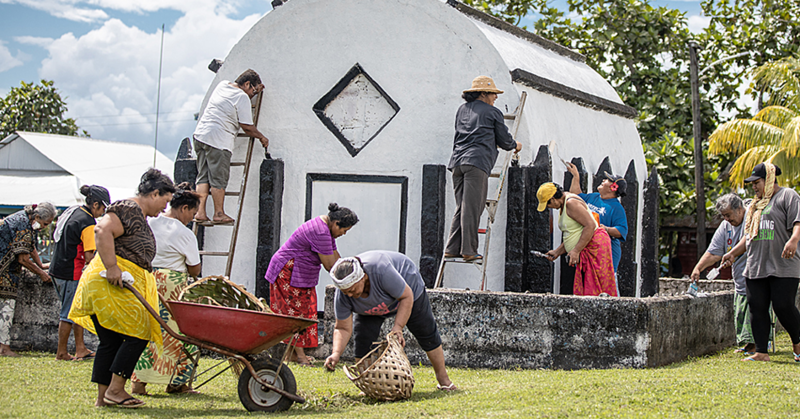 After five years of immense studying and intense legal training, it all came down to one ceremony that made it official for Tosimae’a Tupua. 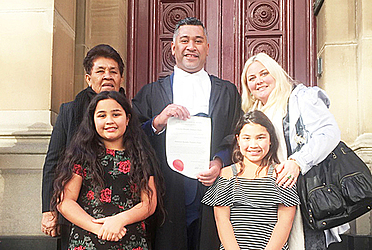 Last Tuesday, Tosi Tupua took his oath as a Barrister and Solicitor of the Supreme Court of Victoria in Melbourne, Australia. Although his father, Fuimaono Fereti Tupua, was unable to attend the ceremony, this memorable day was witnessed by his mother, Feaisili Tupua, and wife, Moneka Knight, with their two children and nephew, Wilberforce Tupua. In 2016, Tosi graduated with a Bachelor of Laws and Bachelor of Arts from the University of Tasmania, Australia, after a drastic career shift from working internationally as a journalist with CCTV in Beijing and Al Jazeera in the Middle East. 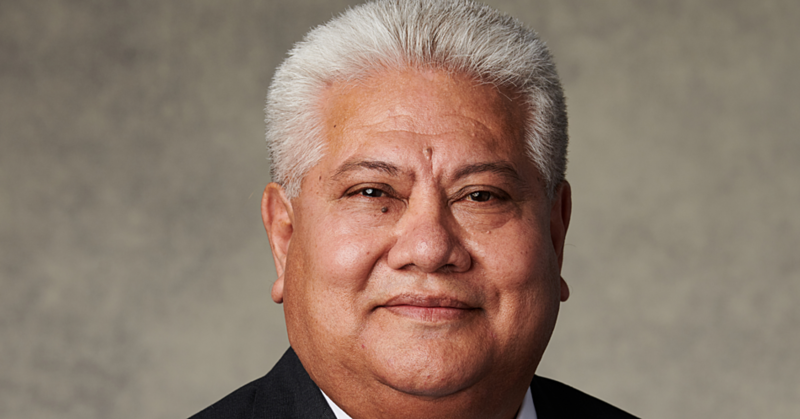 “I have worked internationally as a journalist and I intend to continue my career with an international focus, this time in law,” Mr. Tupua said. After graduating last year, Tosi undertook his professional legal training at Leo Cussen Centre for Law in Melbourne, where he sat and passed the bar exam in order to become a practicing Australian lawyer. He is now working in Sydney with the firm of Austin Haworth & Lexon, and he will be moving to its headquarters in Shanghai next month. Tosi will be practicing predominantly in the areas of equity and corporate law. 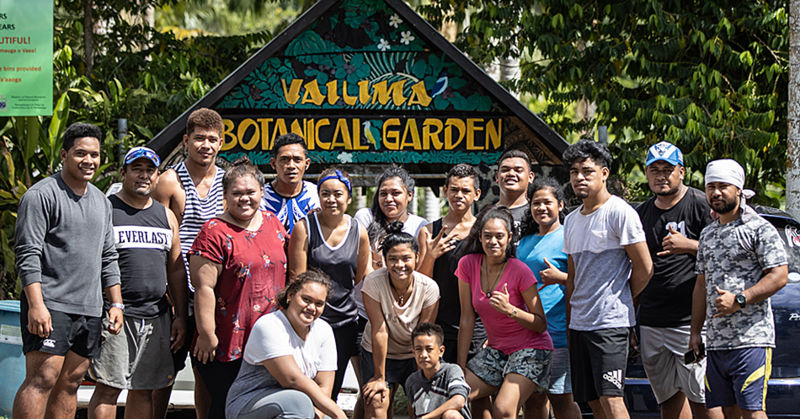 “Strategically, I intend to develop my legal experience first overseas before I return back home to contribute to the growth and development of Samoa. I hope to use my knowledge and experience of Australian and Chinese law, to facilitate the on-going good relations between the three countries. Tosi will soon be joined by his nephew, Wilberforce Tupua who will be graduating in Spring 2018 with his Bachelor of Laws and Political Science degrees from the University of Auckland.